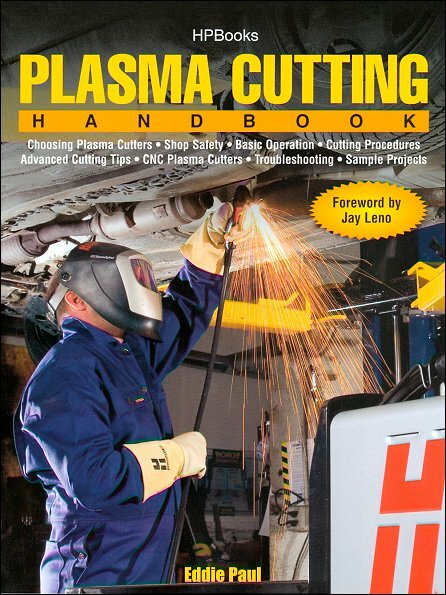 Plasma Cutting Handbook: Plasma Cutters, Safety, Basic Operation, Sample Projects, etc. The Plasma Cutting Handbook: Operation, Tips, Safety how-to book is the defacto source for DIYers seeking step-by-step instructions and tips in this art. Auto body expert Eddie Paul wrote this DIY guide and Jay Leno wrote the forward to this book. With these heavy weight DIY'ers at the helm, you know this how-to book on Plasma Cutting is top notch! If you want to join the ranks of the serious car builders, you'll need to master the art of plasma cutting. In this highly-illustrated book, custom car builder Eddie Paul demonstrates the techniques he's learned over the years. 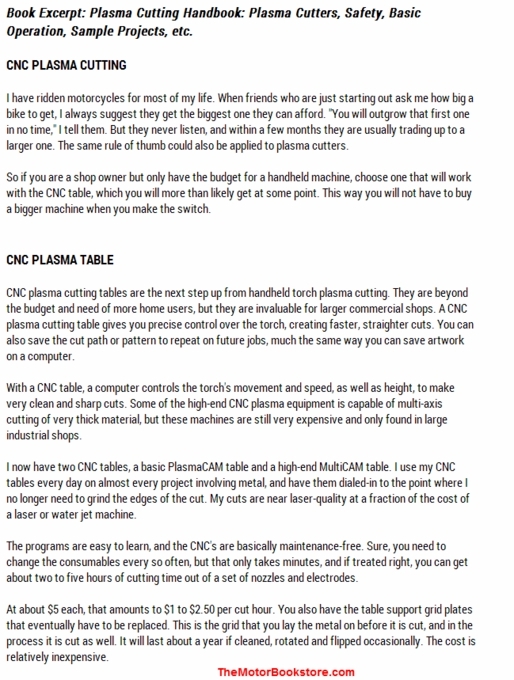 The book will also teach you how to operate a plasma cutter safely. Modern plasma cutters are fairly easy to operate. Learn how to properly use one and it will become an indispensable shop tool you'll use for years to come. Ask a question about Plasma Cutting Handbook: Operation, Tips, Safety.